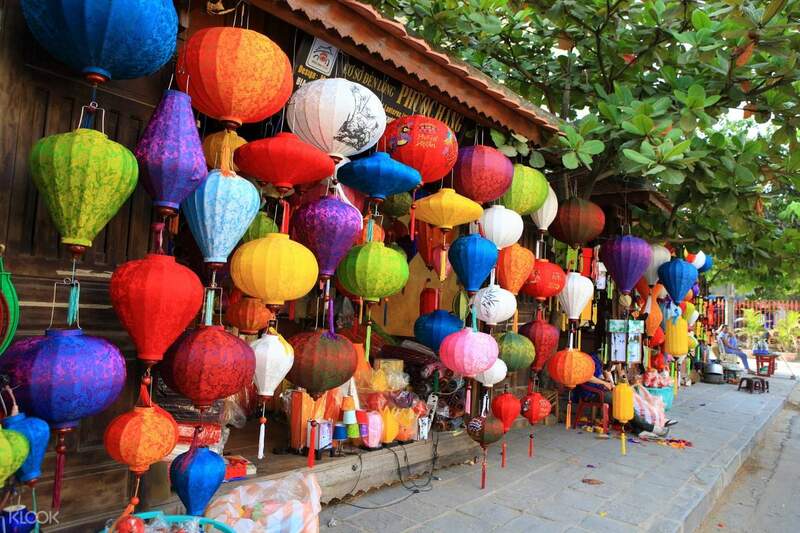 Discover the rich and fascinating history of Vietnam with this one-day tour from Da Nang. In the morning, you'll get picked up at your hotel in the city center, then immediately proceed to the first stop of the tour: Hoi An Ancient Town. Travel back in time as you explore the various landmarks in the area, such as the 400-year old Japanese Covered Bridge and a selection of centuries-old houses that follow different architectural styles like Chinese, Japanese, French, and European. You'll also get to meet the locals as you visit a local silk factory and showroom, as well as the shop of an expert tailor, where you'll get to learn how silk cocoons are transformed into thread. You'll then visit the fascinating My Son Holy Land and the ruined temples, before you make drop by the last stop of the day, Cham Museum. 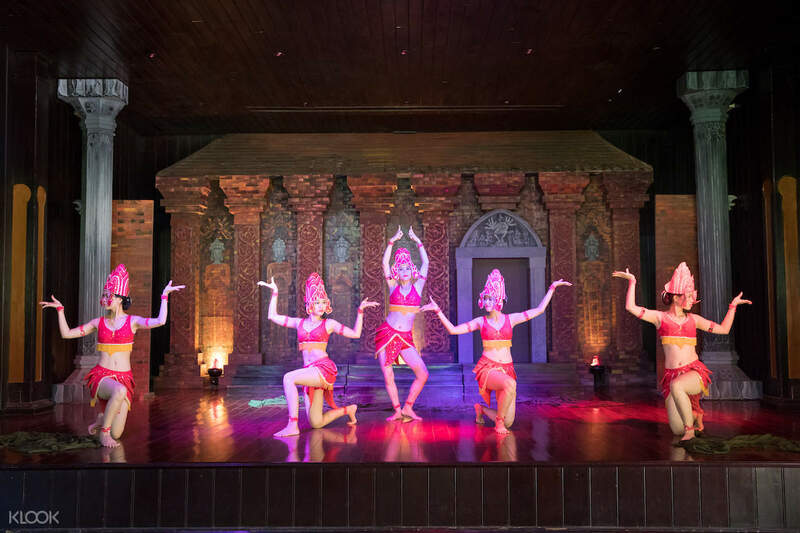 Prepared to be mesmerized as you watch Cham's Traditional Apsara Dancing show, before you get dropped off back at your hotel in the city. We enjoyed the morning walk around the Hoi An Ancient town. Our tour guide Quynh is a patience and compassionate lady. She is kind hearted to follow our pace as We have elderly in our group. The lunch was sumptuous and over our expectations. Afternoon visit to the silkworm factory was first experience my elders encountered and they are overwhelmed with wow. The walk to My Son Sanctuary is another highlights. The weather is good and the sky is blue, so the photos we taken turned out so well. Overall, we had a good experience engaging Klook for our day trip in Danang. Will definitely recommend my friends to Klook. We enjoyed the morning walk around the Hoi An Ancient town. Our tour guide Quynh is a patience and compassionate lady. She is kind hearted to follow our pace as We have elderly in our group. The lunch was sumptuous and over our expectations. Afternoon visit to the silkworm factory was first experience my elders encountered and they are overwhelmed with wow. The walk to My Son Sanctuary is another highlights. The weather is good and the sky is blue, so the photos we taken turned out so well. Overall, we had a good experience engaging Klook for our day trip in Danang. Will definitely recommend my friends to Klook. The tour guide is very knowledgeable and shared a lot of information about Hoi An ancient town and My Son. We had a great experience visiting different locations. Thumb up! Highly recommended! The tour guide is very knowledgeable and shared a lot of information about Hoi An ancient town and My Son. We had a great experience visiting different locations. Thumb up! Highly recommended! The overall arrangement is well planned by our guide ah-King, as we wanted to stay longer at Hoi An for the lighting, the guide and driver are so kind to agree with our plan with little OT. The overall arrangement is well planned by our guide ah-King, as we wanted to stay longer at Hoi An for the lighting, the guide and driver are so kind to agree with our plan with little OT. The tour guide arranged the first half of the day visiting My Son Sanctuary. It's about 1 hour ride from Da Nang city. There are multiple temples built within 4th - 14th century, which related to Hinduism. Mostly ruined during the war. Our tour guide had shared with us how the King used to pray and the process of the praying. Although the place is covered in the forest, but the temples that we were visiting built at open space. So, the sun is direct on top of us and we can felt the heat around us. Suggest to bring umbrella and hat with you. Even with cool fever patch, we still felt the heat. After that we were shifted to Hoi An city for lunch before the exploring the ancient town. As we were not used to the Vietnamese food, hence we requested our tour guide to take our food instead and drop us at another western food restaurant. For those who don't want to take the lunch meal, our experience was to inform the operator at least 24 hours before your trip. The tour guide brought us to visit few of the signature places such as the Japanese Covered Bridge, and let us to explore the town ourselves. Although we spent half a day there but it will be great if we can stay up there till night time. So we can enjoy the night light in Hoi An. We managed to get souvenirs there in cheaper price. Easy for us to get both local and other countries food in Hoi An. There are a lot cafe as well. We were getting the same tour guide we had during our Hue city day tour. So, it was easy for us to discuss about the trip arrangement. But the car we got that day was not pleasant. There were a lot of mosquitoes in the car. The tour guide arranged the first half of the day visiting My Son Sanctuary. It's about 1 hour ride from Da Nang city. There are multiple temples built within 4th - 14th century, which related to Hinduism. Mostly ruined during the war. Our tour guide had shared with us how the King used to pray and the process of the praying. Although the place is covered in the forest, but the temples that we were visiting built at open space. So, the sun is direct on top of us and we can felt the heat around us. Suggest to bring umbrella and hat with you. Even with cool fever patch, we still felt the heat. After that we were shifted to Hoi An city for lunch before the exploring the ancient town. As we were not used to the Vietnamese food, hence we requested our tour guide to take our food instead and drop us at another western food restaurant. For those who don't want to take the lunch meal, our experience was to inform the operator at least 24 hours before your trip. The tour guide brought us to visit few of the signature places such as the Japanese Covered Bridge, and let us to explore the town ourselves. Although we spent half a day there but it will be great if we can stay up there till night time. So we can enjoy the night light in Hoi An. We managed to get souvenirs there in cheaper price. Easy for us to get both local and other countries food in Hoi An. There are a lot cafe as well. We were getting the same tour guide we had during our Hue city day tour. So, it was easy for us to discuss about the trip arrangement. But the car we got that day was not pleasant. There were a lot of mosquitoes in the car. My son is a nice place to visit. We can enjoy the incredible building with historical background.Hoi An is a beautiful village where we can enjoy half and more day. My son is a nice place to visit. We can enjoy the incredible building with historical background.Hoi An is a beautiful village where we can enjoy half and more day. Very satisfied with this tour! The tour guide and driver were very friendly. The itinerary itself was superb and well planned. The lunch was fulfilling and worth every dollar spent. HIGHLY RECOMMEND this tour for those visiting Da Nang for the first time. Very satisfied with this tour! The tour guide and driver were very friendly. The itinerary itself was superb and well planned. The lunch was fulfilling and worth every dollar spent. HIGHLY RECOMMEND this tour for those visiting Da Nang for the first time. We have enjoyed the trip a lot. Our tour guide Vi is very friendly and helpful. She is flexible with our timing and suggestions. She also shared with us some local snacks in the market. The lunch was sumptuous. The driver is also very punctual. Strongly recommended. We have enjoyed the trip a lot. Our tour guide Vi is very friendly and helpful. She is flexible with our timing and suggestions. She also shared with us some local snacks in the market. The lunch was sumptuous. The driver is also very punctual. Strongly recommended. We had a private tour for 2 pax and we highly recommend this package. The guide, Mr Trung, was very knowledgeble on the history of My Son and Hoi An. Lunch was ok with a wide spread of dishes. We had a private tour for 2 pax and we highly recommend this package. The guide, Mr Trung, was very knowledgeble on the history of My Son and Hoi An. Lunch was ok with a wide spread of dishes. 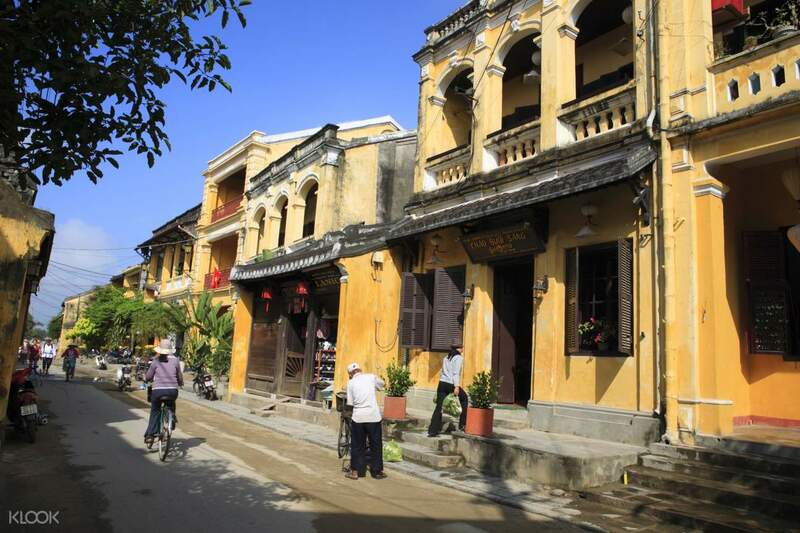 Hoi an is ancient town with many old house and old temple. The best area is bridge from Japanese colonial era. Silk village give me knowledge of silk production as well as we see coccons, small eggs, male and female silk worms. My son is evidence of Hinduism in Vietnam at Cham era. Aspara dance is good to see. 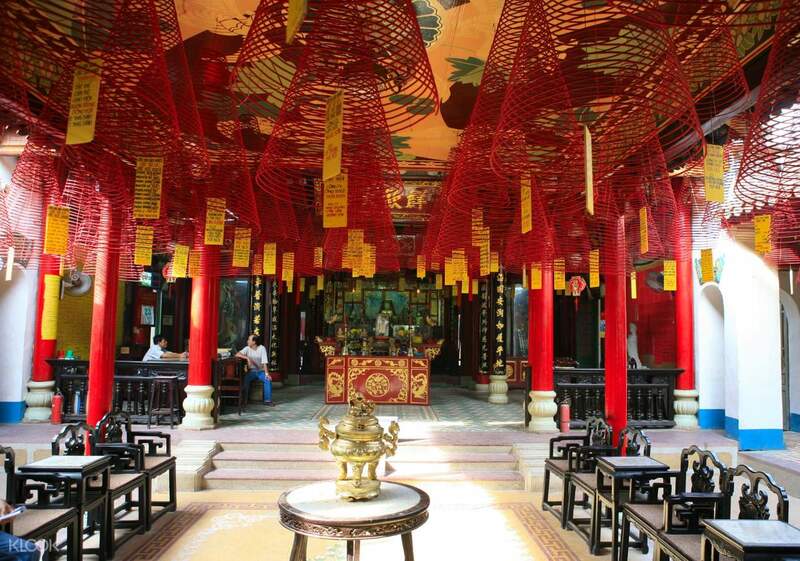 Hoi an is ancient town with many old house and old temple. The best area is bridge from Japanese colonial era. Silk village give me knowledge of silk production as well as we see coccons, small eggs, male and female silk worms. 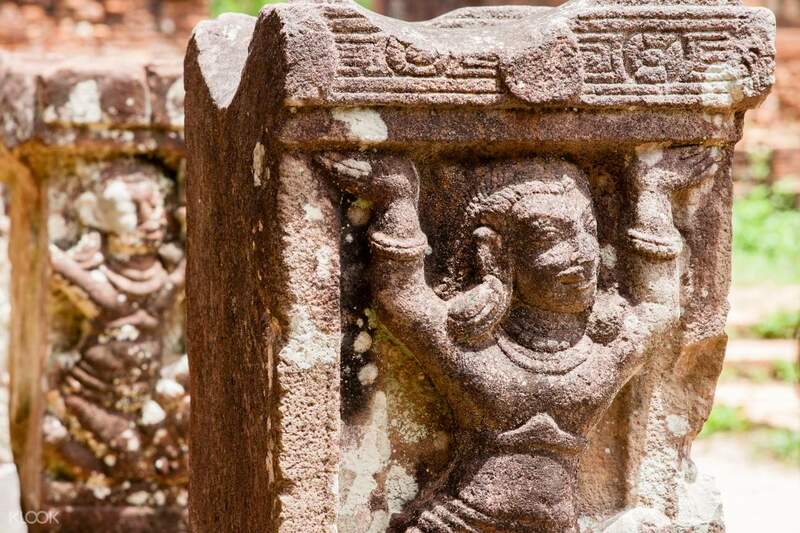 My son is evidence of Hinduism in Vietnam at Cham era. Aspara dance is good to see.